Grief is personal, and each loss we experience is unique to us. There are no stages to grieving — it is what it is, and if we try to fit our grief into a framework we can deny ourselves the right to feel our pain naturally, authentically and uniquely — in the way that’s right for us. Finding quotes about grief that resonate with us can help to expand our awareness and understanding. Some people think that being strong and brave about the loss of a loved one means trying to think and talk about something else to distract themselves from their pain. But being strong and brave means thinking and talking about them. My mum had a saying and quote for everything. Talking out loud about how we’re feeling is one of the healthiest things we can do. Talking about those we have loved and lost reminds us how important they were, and still are to us, and this in itself can be a balm of healing. Choosing our thoughts and taking control of how we think and where we direct our thoughts can release a lot of mental suffering. Accepting that life throws arrows at us can help reduce anxiety about the future, and we can learn to experience life in the present moment. Sometimes we put our focus on the events leading up to our loss, and if our last interaction or conversation may have been rushed, we can be left stuck in a loop, wanting to turn back time so we get to say the things we should have said before. This only serves to rob us of the wonderful experiences and memories of love shared. The memories which should be welcomed and enjoyed without regret. Learn the life-enhancing lesson of positive communication in all our interactions, so if there’s a sudden loss or parting your last moments together will have been loving. This will be your comfort in your grief. Find a grief quote that can become your mantra, that will give you some strength when you feel overwhelmed by your loss. We are the one who decides that an action was offensive. We can’t wonder why someone does what they do or doesn’t do what we think they should. Holding onto what we feel others should or should not have done is a form of emotional suicide and can hold us in a place of pain indefinitely. We can only take responsibility for our half of any relationship, that’s all we can work on. By expecting certain behaviours or actions from others, we set ourselves up for a letdown. We all work from our model of the world. Make peace with yourself, and this will permeate to others. Don’t expect — accept. We all see the world differently and must accept that we aren’t carbon copies of one another. Comparisons minimise our sense of self. Respect and accept those in your life just exactly as they are. When we have expectations of others and they don’t meet our expectations, we create conflict. We may expect others to live as we think they should because that’s how we live. Allow others to make their own choices and let expectation flee. By accepting and experiencing all life events as they occur, focusing on the good which so often follows disaster — a sense of community; expressions of love and caring actions, we can learn to live fully and meaningfully, processing emotional events practically as they arise. The times in our lives where we receive our greatest learnings often come from our times of adversity. Finding quotes on grief which resonate with us can open new pathways for us to explore. We must also balance the scales — without the threats out there; there would be no value to life or thought of personal safety. What we have in our lives today, we may not have tomorrow. Show those you love how much you care — as often as you can. Be mindful of the pain of your loss but don’t let it define you. Let go of the need to control the healing process and let things follow their natural course. Have a plan going forward every night. In your times of loss and emotional pain, find philosophies and quotes on grief which help you to understand that to know greatness, love and goodness, we also have to know pain. How else would we value life? Before you go to sleep, look for a positive in the day you have just had. Give thanks for something that happened today. Write your grief quote of the day in a nice notebook and focus on it as you go to sleep. Then plan what you want to accomplish the following day. Write that down too if it helps you. Think about it when you wake up and focus on the steps you need to take, no matter how tiny they may seem. Life isn’t predictable and nor should it be. There‘s so much to experience. Everything shapes and influences us from the big moments to the small ones, from the deepest pain to the greatest joy, from the places we end up to the people in our lives — some who stay and some who are tragically taken from us. All of these experiences colour our lives. We cannot control all of these experiences, but through them we grow, and can reach a place where we can embrace all the pain without letting it rob us of our joy. We’ll always have our moments of sadness, that’s life — if we didn’t ever miss those we loved then life would mean nothing. We must allow ourselves to feel the joy in the host of wonderful memories that we have shared and, above all, to remember that nothing is guaranteed to be ours forever, so we must make as many special moments as we can, and then we must treasure them. A favourite quote of mine which I created when I wrote my book on grief — How To Grieve Like A Champ, is — ‘On the tree of grief, it is our memories that become the fruits’. We need to permit ourselves to pick these fruits. Memory is how we remember those we have loved and lost. We don’t just grieve at the time of loss but as we enter new stages and milestones in our lives. Creating new family rituals can help navigate these milestones. Find what works for you and reflect as you navigate these milestones. It’s okay not to be okay. You show yourself the greatest respect when you give your grief attention and allow yourself to feel pain, no matter how deep. We sometimes take our most significant learnings from periods of abject pain. Like steel which goes through the tempering process, we strengthen through our losses and this fosters kindness towards others. And through our own pain, we can recognise the suffering of others and reach out to them with compassion. Life is all about learning and the person we are today is not the person we may become next year. Our experiences shape us — good and bad, and that’s the sign of a good life. Learn the life-enhancing lesson of positive communication so that if there is a sudden loss or parting, your last moments together will have been loving. 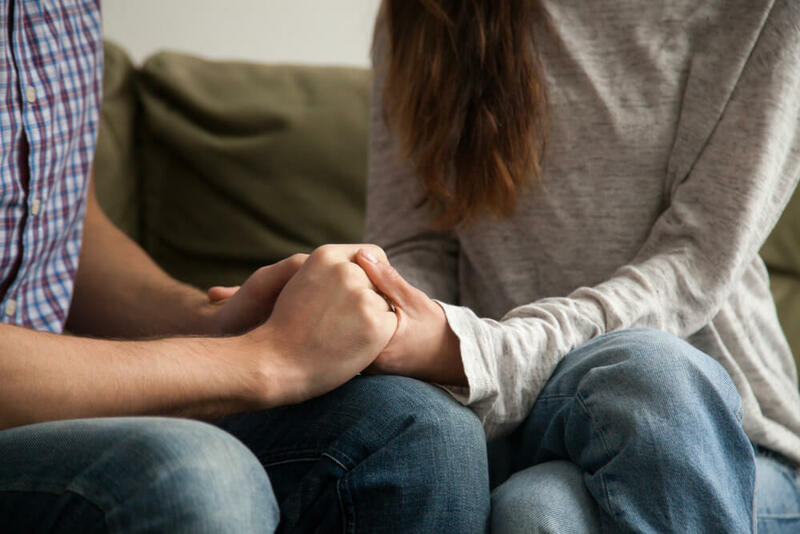 Those who have the wisdom and good fortune to have been able to work through issues in their relationship before the loss often find this a great source of consolation during the grieving process. Forgive, and forgive often, with all your heart every day, with everyone. Write down what you’re feeling and why. By writing things down, we can have a moment of clarity. Identifying what’s causing us pain can be a giant step towards healing. Find the grief quotes that work for you and keep them close. Let those around you know that you’re grieving. Talking about those that we have loved and lost reminds us that they have lived and how important they were to us, and this in itself can be a balm of healing. ‘The tears are the words the heart cannot speak’ — there’s a lot of truth in that statement. It’s important to explore all the avenues that bring us healing, to accept that an ending has taken place and to keep ourselves open to the opportunities that come with new beginnings. Crying is not a sign of weakness. Crying is a chemical reaction, and even though we may feel wretched while we’re shedding our tears, we always feel that little bit better afterwards. An emotional release has taken place. That’s grief. We can no more control it than predict it. But it’s much easier to bear your sadness if you aren’t also berating yourself for being sad. We live in a society that seeks easy and instant results to everything, so it’s important that we learn the benefits and beauty of patience, effort and perseverance especially when we experience emotional trauma. Superglue won’t fix this. Only when we have to work hard for something do we gain a sense of moving forward and a feeling of achievement. Accepting that every area of our lives will have been impacted can take away the expectation to feel ‘normal’ in record time. We need to take time to assimilate our losses, to feel the changes taking place within it. To absorb the shock waves, and above all to accept that whatever grief does to us is right for us. It is our own journey. We can find others to share it with us, but the experience is ours alone. This grief quote ‘Grief affects us on every level — emotionally, physically, spiritually and mentally’ helps us to remember the impact of grief and allows us to let it be what it needs to be. You can learn to live with it and appear normal, but you will only be able to function at a certain level. The truth is the handbrake will remain on until you take the necessary steps to release it. It’ll remain there until you work through it. If we unconsciously delay the grief process and withhold emotions, this can manifest itself in physical ways – headaches, difficulty sleeping, ailments, stomach problems. Resolving your grief won’t be easy, and you will need to find a great deal of energy and willpower. Delaying the grief process can feel like an invisible bag of rocks has been tied to your back. Each time you experience a loss, you put another stone on your back. You’ll need to learn to throw those stones away. Anger is usually an emotion which stems from sadness or fear. Society has taught us that there should be steps to the grieving process, so when we find ourselves grieving in the way that’s natural and right for us, we can become unsure of whether we’re coping in the right way and can question how we’re feeling rather than just letting it be what it is. The truth is, there are no steps to grieving. Grief is incredibly personal. Each grieving experience we have is as unique to us as our fingerprint. No-one can understand how we feel so we must not make comparisons, judgements or comments about someone’s reaction to their losses. When we talk about how we’re feeling, it isn’t a conversation; it’s a statement — we just need to be heard and feel understood, kind of like a one-way conversation. There’s no timeframe to this, and sometimes you will struggle and it may be one stone at a time. Some will seem smaller and easier than others, some will feel too heavy to deal with, but you have to choose to keep going. Recovery is a conscious decision. A tiny shift each day will make a big difference over time. Recite the grief quotes which create a flutter within, which can hold you up, knowing that this too will pass. The shock of loss can often create a loop that we keep replaying again and again. It’s always helpful to look at photographs which evoke happy memories and to create a ‘Memory Hour’ where you can enjoy your memories and share fond stories which will help to soften the end of life images. Using a beautiful vase, box or container, you can write some of your favourite moments or phrases used by the person who has died. Decorate your grief quotes and place them in the container and this can be used as a spoonful of medicine for your heart when you have those ‘missing’ moments. Only by evoking the happier moments of the person’s life can we start to balance the scales of loss. There are no stages of grieving. Each relationship we have is unique. Trying to fit ourselves into stages only robs us of our natural and instinctive way through the grief that’s personal to us. Allow yourself the privilege to express yourself authentically, in the way that feels right for you, with our questioning it. We must not compare our reactions with others because they won’t be the same as ours, there may be similarities in our reactions but we are individuals and each relationship we have is unique. We all have an inner coping mechanism, a first lightning thought when something terrible occurs, yet we don’t always heed this and may question ourselves. We must not lose the ability to sit quietly, to reflect and understand what’s going on inside. 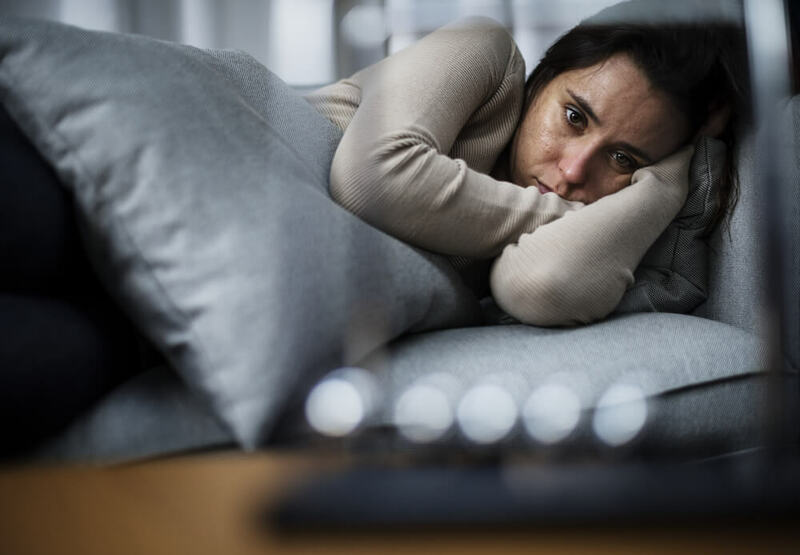 Connecting with our innermost feelings and being honest when we express how we are feeling can help to unravel the emotional confusion which so often follows loss. Without recognising our pain and going through certain rituals, we store up unresolved grief. Accept that the person who has died will always be a part of you and it will always be okay to have moments of sadness. Allow yourself the privilege of remembrance without berating yourself for being sad. There will be times when you get caught up in the act of living and let go of the memory. Then you will remember again, and you will return to grieving. This is normal. This is living after loss. The intensity will shift and change along the way. If you feel there’s unfinished emotional communication with the person who has died, this needs to be completed. The Grief Recovery Method is excellent for uncovering our undelivered emotional communication and leads us to completion. We change all the time too. Through life we’re moulded, bent and straightened through all our experiences. That’s the sign of a good life – that we have been shaped, that we have grown, that our perception of who we are has deepened. Every painful experience we have opens our hearts to understanding others. If it was all good all the time, would we value life? We need to know night to know day. We need to hear the names of those we love, to talk about them and keep them around us. This helps us to feel connected with those we have lost. We can use our imagination as a tool for healing ourselves as long as we accept that life throws arrows at us, sometimes they miss, but sometimes they hit. It’s up to us to choose how we live. What Are Your Favourite Quotes on Grief? Maybe it was something a lost relative said or something you thought of while you were mourning their loss. It could be something well-known. Whatever your favourite grief quote is, use it. Turn to it in times of sadness and let it comfort you. Don’t be afraid of grief, embrace it like you would any other emotion.